Attend the SIxth Annual Labor Day Weekend Event to Celebrate Sonoma Wine, Food and Lifestyle! Sonoma Starlight Supper Club at Francis Ford Coppola Winery, and an assortment of intimate and exclusive winery lunch and dinner parties at multiple locations throughout Sonoma County. Proceeds from Sonoma Wine Country Weekend support Sonoma County non-profit organizations; to date a cumulative total of more than $10 million has been donated directly to Sonoma non-profits by the local wine community. 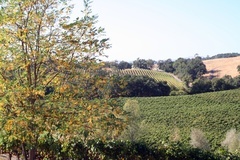 Winemaker Barbecues are held at wineries throughout Sonoma County. Tickets are non-refundable. 21 and over only. No children or pets allowed. 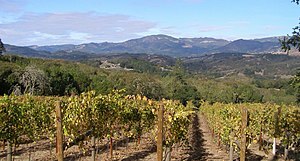 Join Proprietor Eric Luse at Eric Ross Winery in Glen Ellen for a barbecue lunch and discussion of wine pairing. 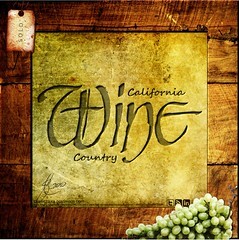 A foodie at heart, Eric likens the creation of his wines to crafting a beautiful meal. He believes that if you start out with fresh, quality ingredients you have the fundamental components for an extraordinary culinary experience. 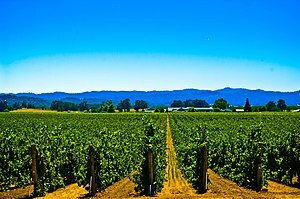 Similarly, by ensuring the fruit for each Eric Ross wine is of utmost quality, and by handcrafting each vintage, Eric Ross Winery takes these building blocks and masterfully creates wines that fully express their potential – and their unique terroir. Come discover how this philosophy allows the wines to shine when perfectly paired with foods created from Sonoma’s seasonal ingredients at a meal served in a stunning vineyard setting. Little Vineyards Family Winery promises big fun at their sunny Sunday barbecue held at their Glen Ellen winery. Little Vineyards’ rare and small lot red wines will take center stage, with white wines by Idell Family Vineyards, pairing perfectly with a variety of grilled treats, while the winery’s beautiful property provides an inspiring backdrop for a relaxed afternoon of savoring Sonoma County’s simple pleasures. For more information visit www.SonomaWineCountryWeekend.com.